Ever wondered what the person sitting two desks along actually does? Or how the work you do really impacts other teams? Or maybe you have had conversations with customers where you felt that they knew more than you did? A good new hire will be wondering all these things. 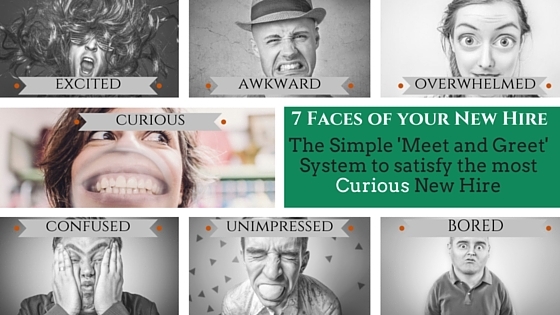 And as we move towards the end of the ‘7 Faces of Your New Hire’, we arrive at the new hire that is full of curiosity. Now, this is good. It shows that they are motivated, interested, keen to learn. You’ll settle for that, right? The only downside here is that she can be a little needy. Full of questions that you would love to be able to do justice to, but you have a job to get on with too. And it has got to a point where your heart sinks a little when you see her approaching your desk. And you feel bad. She is so keen. But boy, is she exhausting! So, this post is a little different from my usual ones. I thought I would share a system I have used to satisfy their curiosity and give them a great, well rounded view of who does what around here. 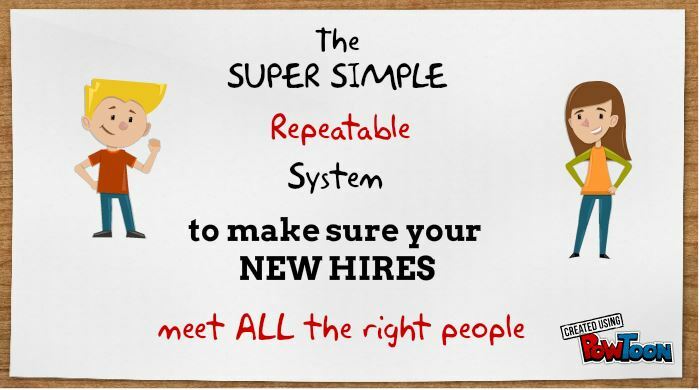 It requires a little work upfront, but it is a system you can use for every new hire that comes through the door. Don’t save it for the curious new hire. This is a key piece to help turnaround the unimpressed, confused, bored, overwhelmed, awkward new hires that we have already discussed. You can get more detail on this in a step by step format (as well as the templates) in the free Onboarding Checklist which will released with the final post of this series next week. Click here to get it sent to your inbox. (Oh, and it’s ok. You can stop pretending you are on an important phone call now. She’s off to meet with the marketing manager).